Attending the ceremony, there were: Mr. Tran Thanh Dung - Principal of Phan Dang Luu High School; Mr. 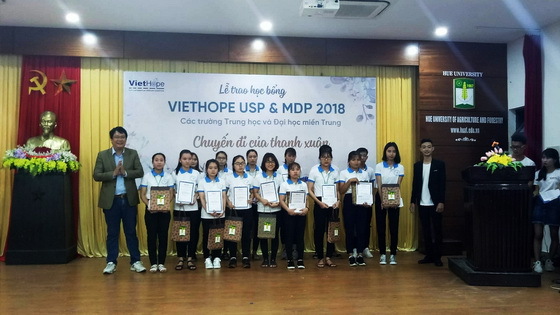 Le Phu Dong - Senior Director of Viethope in Vietnam; leaders of Student Affairs Department of HUAF; and 100 volunteers of HUAF. Speaking at the scholarship award ceremony, MSc. 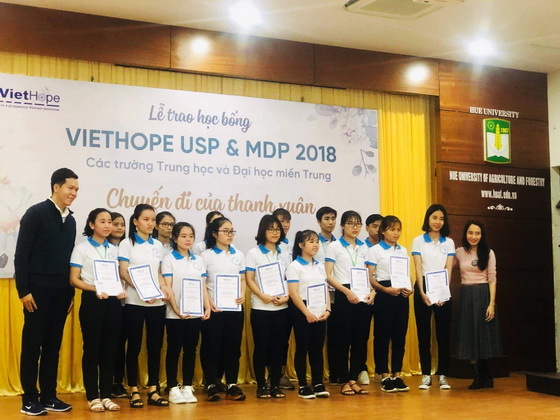 Thai Doan Hung - Deputy Head of Student Affairs Department of HUAF congratulated 165 students on receiving Viethope USP scholarships in 2018 for their achievements and great efforts in their studying and lives. It is known that the scholarship for each university student is 300USD and 150 USD is for each high school and junior high school student. 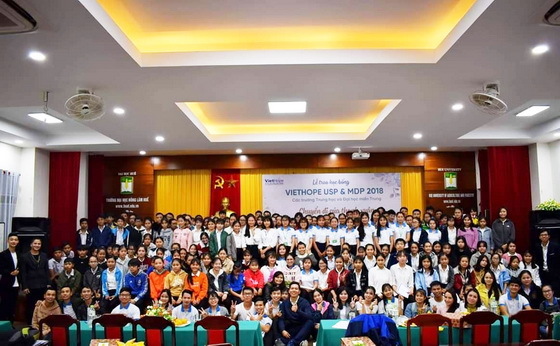 Leaders of HUAF and Viethope USP hope that students will continue to make more efforts to receive a lot of scholarships in the following years.